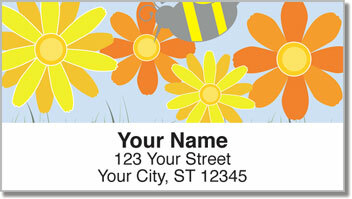 Let these adorable return address labels take all of the sting out of preparing your outgoing mail! Filling out envelopes before you stick them in the mailbox will be fun, quick and easy when you use this delightful design! It features cartoon bees buzzing about, collecting sweet nectar before heading back to the hive where they fill honeycombs with pure deliciousness! 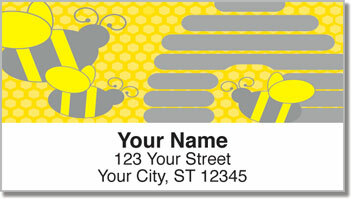 Honeybee Address Labels are another original selection from CheckAdvantage that will add character to your letters and packages. 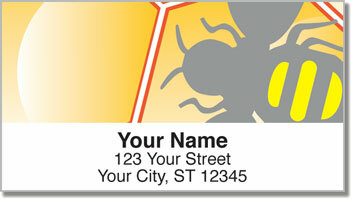 Plus, the self-adhesive backing means you'll never have to write out your name and address again. Just peel and place! 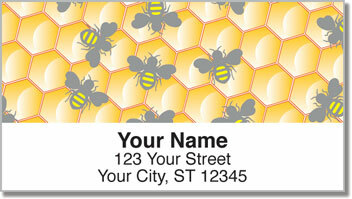 Get your own Honeybee Address Labels today! Complete the order with some matching checks!